For Honda drivers, the best option to get parts for your vehicle is always shopping with your local dealership. It’s the best way to ensure all parts and accessories will be customized specifically for your vehicle. With the purchase of OEM Honda parts, you can be sure the product will deliver high durability, high performance, and quality aesthetic. It’ll get the job done right, and it’ll look good doing it. Only genuine Honda parts and accessories will be built with your Honda’s shape and color in mind. Any add-ons you order can be color matched to exact factory specifications, so they will blend seamlessly with your vehicle’s original paint job. They will also be designed exclusively for your Honda’s make and model, guaranteeing an exact fit. Aftermarket parts may be ill-fitted, and therefore fail to serve their intended purpose. They may also be poorly color matched, leading to an undesired multi-tone effect. They may also be of lesser quality. That’s why they may appear “more affordable” at face value. But genuine Honda parts are built to work cohesively with your vehicle, and they’re built to last. So whether you’re looking for a replacement air filter, or you want to boost your vehicle’s look and feel with a new Decklid Spoiler, you can be certain OEM parts will outlast competitors’ products. This will save you money in the long run. 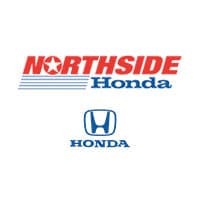 For Honda drivers in the San Antonio area, Northside Honda is the number one place to get the parts and accessories you need for your car, van, truck, or SUV. We keep a wide range of parts and accessories in stock here at the dealership, making it easy to simply pop in and get the parts you need. If we don’t have the parts you’re looking for on hand, we will order them for you. You also have the option to fill out a parts request form online. One of our Honda experts will review your request, and then submit the order for you. If you have any questions or comments about Northside Honda or the parts we offer, contact us or stop by during regular business hours to speak with a parts expert in person. For those who would like assistance with installation, our service team is also at your disposal. Trust Northside Honda with all your parts and accessories needs!